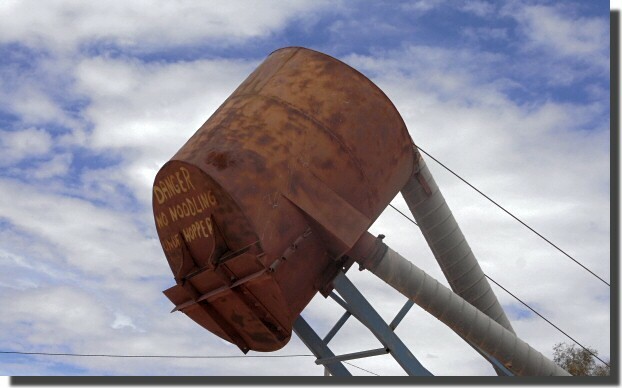 Coober Pedy is the opal capital of the world! It is also very hot, very dusty and very closed on a Sunday. 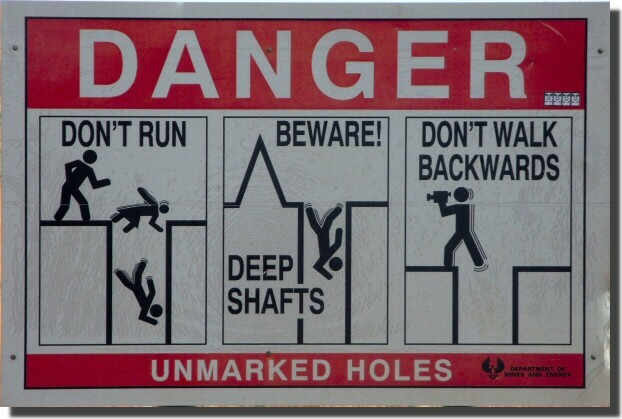 The town's icon is explained below. 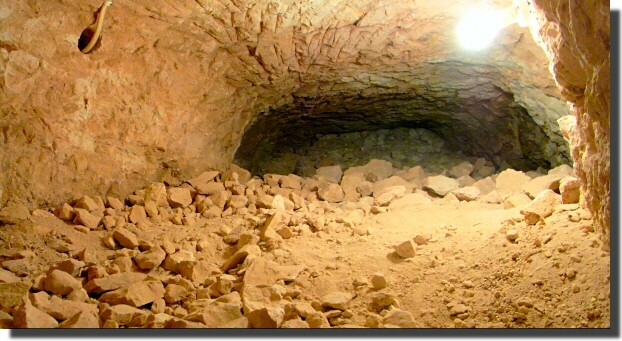 Opal mining is a messy business producing massive quantities spoil in the form of white rocks and dust. 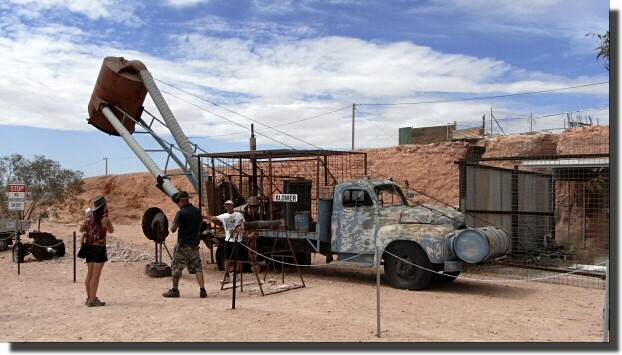 It has been going on in Coober Pedy for 90 years and there are said to be more than 250,000 mine shafts in the area. 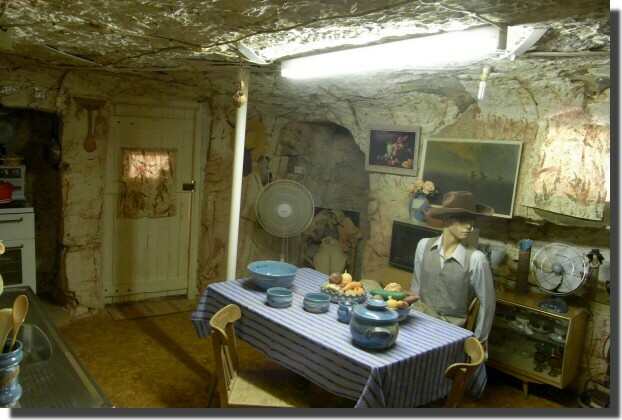 Because of the relatively soft rock and the very high temperatures a lot of Coober Pedy is below ground. The mines (of course) but also many houses, a few shops, one of the camp sites and five churches. 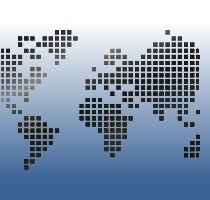 The temperature underground is a fairly stable 25°C. There are also lots of very dismal looking opal shops, many of them thankfully derelict. We visited the excellent Old Timers Mine and were shown round by a man of indeterminate age who until very recently had been an opal miner. The mine had been re-discovered a few years ago when an underground house was being extended. The tour now includes several hand dug mines connected to a hand dug house with a few machine dug extensions. Many of the original hand dug passages were only 700mm tall. Opal mining in Coober Pedy seems to consist of looking for the very occasional but very valuable seam of opal among masses of soft, relatively light rock. Hence the main problem is getting rid of the unwanted rock. This problem was "solved" in the 1940's by a New Zealander with the 100 kW vacuum cleaner . This has become the town's icon. The vacuum cleaner usually consists of a very very old truck with a 100 kW diesel engine on the back driving a fan. The "tanks" on the front of the truck are filled with concrete to stop it tipping over backwards when the hopper on the back fills up with rocks. Air is sucked out of the top of the hopper by the fan. Air, dust and rocks are drawn from up to 200 metres underground into the edge of the hopper where the heavier material falls to the bottom. When sufficient rock has been collected the hopper is opened for a few seconds and the rocks fall out. Eventually the rock pile reaches the hopper and then the truck is repositioned. Most digging is now done by electrically driven tunnelling machines (above) until the edge of an opal seam is detected, then the miners revert to hand digging. 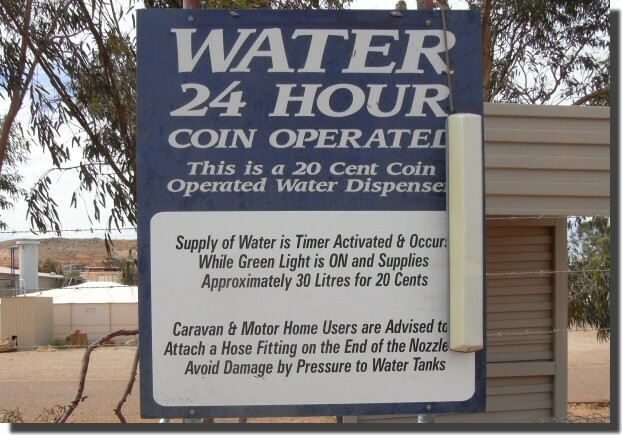 Coober Pedy is the first town we have encountered so far where you have to buy water. We only stayed about four hours (without buying any water or opals). 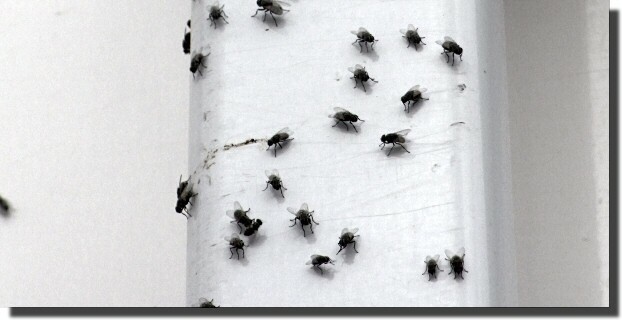 The flies are free.